Since 1996, the School of Information has offered online technology-based programs; in fact, the School of Information has been committed to distributed learning since the school’s inception in 1948 (see Burnett, Burnett & Latham, 2003). The School of Information currently offers most of its Master’s and Specialist degree courses online for the convenience of our students, whether they are located on-campus or at a distance. It is important to note that the vast majority of our courses are taught by our full time, Research I University faculty – most of whom have PhDs or comparable degrees in their respective fields – and who are dedicated to ensuring our students receive a superior education worthy of our reputation. Flexibility: You will probably find – as many of our students do – that taking online courses can increase your flexibility while trying to manage the demands of home and work. Over the course of a semester, not driving to campus and looking for a parking space can be a welcome time saver when your schedule is hectic – and the hours saved can quickly add up! International Connections: From Guam to Switzerland, students participate in our program from locations all over the world. Our online courses offer an excellent opportunity to learn with students from around the globe, providing a rare, real-time international perspective on subjects addressed in class, as well as the opportunity to build an enduring worldwide network of colleagues. Our courses are delivered using the World Wide Web over the Internet. Students in our Master’s and Specialist degree programs apply their developing technology skills as they acquire them, often leading to improvement in the quality of their lives, both at home and work. In order for you to be able to participate successfully in our Master’s and Specialist degree programs, it is essential that you have at the very least the minimum technology necessary to productively take part in our online programs. The following provides a full description of our hardware and software requirements; please know that these are just that – requirements – not meeting them will severely negatively impact the quality of your experience in our online degree programs. Most Master’s and Specialist degree courses within the School of Information are offered in a hybrid online format using Blackboard (an online course delivery platform) and Collaborate (a real‐time, synchronous, virtual classroom environment). Each course will have a Blackboard course website and will be scheduled to meet synchronously using Collaborate for 2 hours one night each week during the semester. Courses meet Monday through Thursday evenings from either 6pm – 8pm or 8pm – 10pm, Eastern Standard Time (EST). Attendance is generally required for weekly class meetings and students can participate from anywhere, so long as they have a reliable internet connection and are using a headset with microphone (again, please refer to hardware and software requirements for specific technology needs). 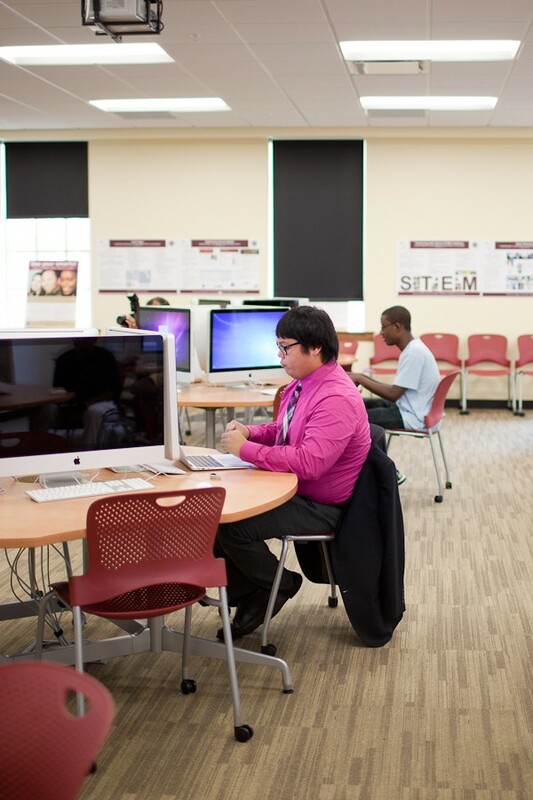 The CCI Help Desk oversees Information Technology (IT) support for all students, faculty, and staff within the College of Communication & Information (CCI). Located within the Goldstein Library in the Shores Building, the CCI Help Desk is centrally located and only minutes away from providing hands-on support when needed.